Weezer is an American alternative rock band that formed in Los Angeles in 1992. The band consists of Rivers Cuomo (lead vocals, guitar), Patrick Wilson (drums, guitar, backing vocals), Brian Bell (guitar, backing vocals, keyboards), and Scott Shriner (bass, backing vocals, keyboards). The band has changed lineups several times since its formation in 1992. They have released eight full-length albums, six EPs, and a DVD. Weezer has sold over nine million records in the US to date. The band is best known for their successful singles "Buddy Holly", "Undone - The Sweater Song, ""Island in the Sun," "Beverly Hills," "Pork and Beans" and "Say It Ain't So." Weezer debuted in 1994 with their self-titled album, referred to by fans as “The Blue Album.” The album was a huge commercial success spawning the popular singles "Undone – The Sweater Song" and "Buddy Holly", both of which were responsible for launching Weezer into mainstream success with the aid of music videos directed by Spike Jonze. 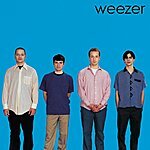 It has been certified three times platinum by the RIAA, making it Weezer's best selling album of all-time. In 1996, “Pinkerton” was released. It was considered a critical and commercial failure, selling far less than its multi-platinum predecessor. Following a hiatus, after the release of “Pinkerton,” in 2001, Weezer returned to critical and commercial prominence with the platinum-selling release of their second self-titled album, commonly referred to by fans as “The Green Album.” A year after the release of “The Green Album,” the band released “Maladroit” to positive reviews. The album peaked at number three on the Billboard Charts and was certified gold. In 2005, the band released their fifth studio album “Make Believe.” The album spawned their first number one single, "Beverly Hills." The single stayed at number one for a week, only to be outdone by their third single "Perfect Situation" which stayed at number one for four weeks. Despite receiving mixed reviews from critics, the album was considered a big success, with "Beverly Hills" becoming the top-selling digital download of 2005 and the album being certified platinum. Following the release of “Make Believe,” the band would return once again to hiatus-mode for the next two years. In April 2008, it was announced that their sixth album – their third self-titled full length album – commonly known as “The Red Album” would be released in June 2008. The first single from the album, "Pork and Beans" spent 11 weeks at the top of the Billboard Hot Modern Rock Tracks chart. This made the song the fastest rising song ever for the group as the song hit number one after only three weeks on the chart. The second single from the album, "Troublemaker," peaked at No. 2 on the Hot Modern Rock Tracks chart while the third and final single from the album, "The Greatest Man That Ever Lived", peaked at No. 35 on the same chart. On August 25, 2009, a new single "If You're Wondering If I Want You To (I Want You To)" was released from their new album “Raditude” on November 3, 2009. The single later peaked at number two on the Alternative Tracks chart. The band's eighth studio album, “Hurley,” was released on September 14, 2010 on Epitaph Records. 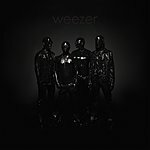 “Hurley” debuted at number six on the Billboard 200 with 45,000 units sold, making it Weezer's sixth top 10 album, as well as their sixth top 10 album in a row.